Discussion in 'Keyakizaka46 Members' started by CutePanda, Dec 4, 2015. * Neru was the first Hiragana Keyakizaka46. *Neru's Hiragana kennin was over on Sept 25th 2017. Does anyone know where this photo is from? A lot of Twitter users are copy-and-tweeting this but I guess this is not an official photo. I think this is the best one for her so far. Is this a private picture which is leaked from somewhere? i dont know if the future center is ready for these pressure yet. sometime, the center position backfire on the individual if they are not ready for this challenge to carry the whole group on their shoulder. Care to explain to me what's going on here? There's not much more to it. Nagahama Neru had a boyfriend at one point and like a lot of girls have started doing, posted a picture of them on instagram. She deleted her instagram before joining Keyakizaka but apparently someone had the picture saved. And already there is a boyfriend photo leak, which has to be a record time to go from group entry to scandal. No, not really. That's how it usually goes now. You've got about one week before it breaks. Eh I don't know. 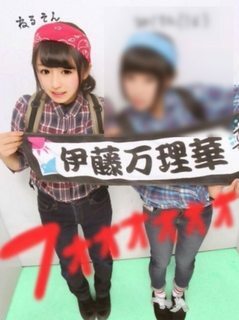 Shinoda was also chosen this way (albeit, hers was a petition from fans to make her part of AKB). The photo is taken from Twitter. 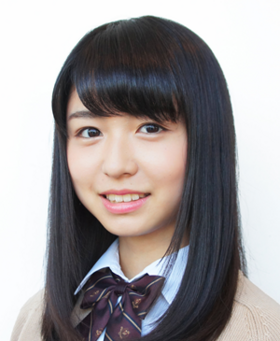 Nagahama had a public account for at least 1.5 years prior to applying to Keyakizaka. She was also a Nogizaka fan. Only a small number of otakus dug up her account, but it has resurfaced in recent days after her scandal. She already deleted all tweets and removed all followers, but the account still stands. For her sake I will not share the ID of the account. I am sympathetic to her situation. When Nogizaka formed in 2011, probably 1/10 of high school girls in Japan had twitter. Now that number has grown to higher than 60% (according to online surveys). This may have contributed to a growing number of so called "scandals" in recent years. It's not that girls are getting boyfriends at a younger age, it's that their lives are more transparent online. ^ So, do you mean this is a private photo? It looks so professional, at least it's not a casual snap by a smart phone camera. I mean I just want to know if she has been doing semi-professional modelling job or something. I'm sympathetic, too. She is not my oshi but I don't want to blame anyone for their private matters. I think you underestimate the power of digital cameras haha. Many cameras are capable of doing that. I don't think Neru has modeled before, but she represented her region in the TV show "High School Quiz Contest" when the TV show rolled to Kyushu before. From what I've gathered, she definitely was popular among both boys and girls. She knows she's pretty and she knows how to be cute. It seems that keyaki unders will be more independent than the other groups. I think she looks way cuter in tv show and official photos than in her blog photos. Her name is just too cute! She has a lot of potential, too! Good luck, Neru-chan! There is the latest group photo in the official site. Neru-chan stands a little apart from other members in the photo probably because she belongs to Kana Keyaki.